Exceptional faculty win exceptional distinctions. Among the top awards and honors we count: Nobel Prize winners; fellowship in the American Academy of Arts and Sciences; membership in the National Academy of Sciences and the National Academy of Medicine; Pulitzer Prizes; MacArthur Foundation “genius grants”; Howard Hughes Medical Institute investigatorships. All of these kudos help our faculty keep their eyes on the prize: moving their fields forward. The American Academy of Arts and Letters fosters and sustains interest in literature, music and the fine arts by identifying and encouraging individual artists. The American Academy of Arts and Sciences is an independent policy research center that conducts multidisciplinary studies of complex and emerging problems. The academy’s elected members are leaders in the academic disciplines, the arts, business and public affairs. The American Association for the Advancement of Science (AAAS) is an international nonprofit organization dedicated to advancing science around the world. The Canada Gairdner International Award is given to biomedical scientists who have made original contributions to medicine resulting in increased understanding of human biology and disease. The Gruber Prize honors individuals in the fields of cosmology, genetics and neuroscience, whose groundbreaking work provides new models that inspire and enable fundamental shifts in knowledge and culture. The Howard Hughes Medical Institute (HHMI) is a nonprofit medical research organization that ranks as one of the nation's largest philanthropies and plays a powerful role in advancing biomedical research and science education in the United States. HHMI urges its researchers to take risks, explore unproven avenues, and embrace the unknown – even if it means uncertainty or the chance of failure. They identify and pursue significant biological questions in a rigorous and deep manner. They develop new tools and methods that enable creative experimental approaches to biological questions, when necessary bringing to bear concepts or techniques from other disciplines. They forge links between basic biology and medicine, opening new pathways for disease diagnosis and drug discovery. The Howard Hughes Medical Institute Professors Program empowers research scientists who can convey the excitement of science to undergraduates. The professors model fundamental reform in the way undergraduate science is taught at research universities through innovative teaching that demonstrates the rigor and value of scientific research. HHMI professors are committed to expanding and enhancing research opportunities for undergraduates and are encouraged to share ideas and collaborate with their peers to improve science education. The Kavli Prizes recognize three scientific areas that are exceptionally exciting in the twenty-first century and at the brink of remarkable discoveries – astrophysics, nanoscience and neuroscience. Created to honor, support and recognize scientists whose work have had a profound impact in these areas, the Kavli Prize hopes to raise people's awareness of the benefits of basic science in their own lives. The Institute of Medicine produces scientific studies for Congress, federal agencies and independent organizations about national health issues. Its members act as medical advisers to politicians and non-governmental workers and the organization runs forums, roundtables and other activities to promote discussion and discovery in medicine. The National Academy of Sciences (NAS) is a private, nonprofit organization of the country’s leading researchers. Scientists are elected by their peers to membership in the NAS for outstanding contributions to research. This country's first learned society, the American Philosophical Society has played an important role in American cultural and intellectual life for over 250 years by promoting useful knowledge in the sciences and humanities through excellence in scholarly research, professional meetings, publications, library resources and community outreach. The Franklin Institute's mission is to inspire an understanding of and passion for science and technology learning. The Franklin Institute's Awards Program has long been recognized as the oldest, and most comprehensive science and technology honor bestowed in the country and around the world. The National Academy undertakes its important work on behalf of the public sector by anticipating, evaluating, analyzing and making recommendations on the nation’s most critical and complex public management, governance, policy and operational challenges. The Pulitzer Prize is regarded as the highest national honor in print journalism, literary achievement and musical composition. 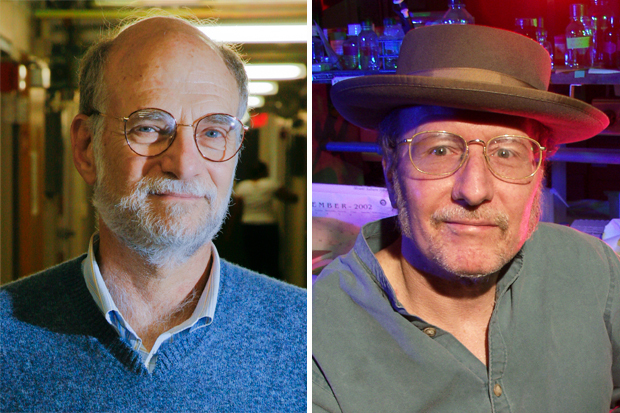 Michael Rosbash, the Peter Gruber Endowed Chair in Neuroscience and professor of biology, and Jeffrey Hall, professor emeritus of biology, were awarded the 2017 Nobel Prize in Physiology or Medicine for their discoveries of the molecular mechanisms controlling circadian rhythms, the inner biological clock that regulates almost all life on the planet.